Are you a Splunk + Qualys customer? If so, are you downloading the Qualys Knowledge Base data? Hint: This us usually accomplished by enabling the Qualys TA knowledge base input. 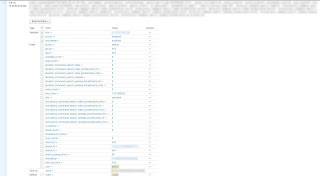 Chances are pretty good that you are since that data is used by the Qualys Splunk app to map Qualys QID codes to human readable names of vulnerabilities. Once the Knowledge Base data is downloaded to the search head (per Qualys instructions), try to search for it. In a Splunk search box, copy and paste the following. If you see results, you are all set to use the dashboard code at the bottom of the article. Figure 2: Sample KB data. If you see data returned with this query, you should be good to go. If you are going to spend the time and resources downloading the Qualys Knowledge Base, you might as well benefit twice by getting a handy localized vulnerability lookup tool at no extra cost. We hope this proves useful to others. Enjoy! Spelunking your Splunk Part I (Exploring Your Data) - A clever dashboard that can be used to quickly understand the indexes, sources, sourcetypes, and hosts in any Splunk environment. Spelunking your Splunk – Part II (Disk Usage) - A dashboard that can be used to monitor data distribution across multiple indexers. Spelunking your Splunk – Part III (License Usage) - A dashboard to understand license usage over time. This article will focus on understanding the users within the environment--even when spread over a search head cluster. 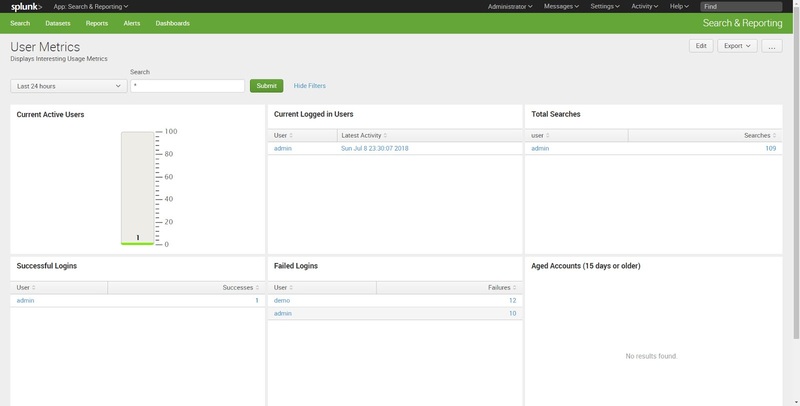 We will show you that it is possible to check the amount of concurrent Splunk users, how much they are searching, successful and failed logins and aged accounts. This information is useful not only from an accountability perspective, but also from a resource perspective. When a search head (or cluster) becomes overloaded with users, it may be a good time to consider horizontal scaling. Now that you understand the basics, the sky is the limit. You can audit each user or display the statistics for all users. Take a look at our dashboard below to see what is possible. If you find it useful, we provide the code for it at the bottom of this article. Give it a try and let us know what you think. 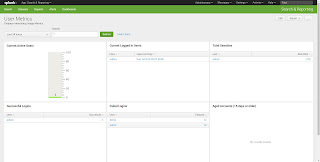 Splunk provides decent visibility into various features within Monitoring Console / DMC (Distributed management console), but we found this flexible and customizable dashboard to be quite helpful for monitoring gaining additional insight. We hope this helps you too. Enjoy!